Los Alamos Daily Photo: Nice House, Don't You Think? I found this one while biking out in Pajarito Acres. Picture taken earlier this fall was motivated by Sequim Daily Photos of houses. 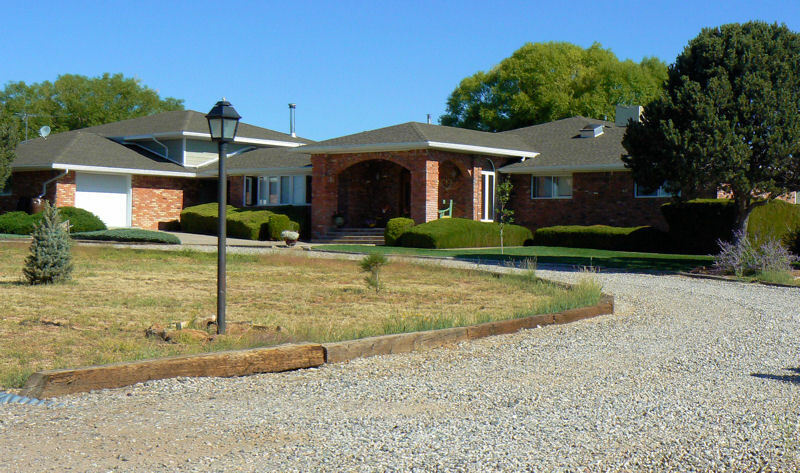 Find out more about Los Alamos real estate. I appreciate nice houses like that. The lawn in front of it looks all green and manicured but not the one across the driveway. I like how it gets sun and shade too. I hope you had a good Thanksgiving Larry.